Do Newfound Alien Planets Need Better Names? This story was updated at 2:40 EST. Astronomers on Tuesday (Dec. 20) announced the discovery of the first two Earth-size alien planets — a historic find for sure, but the newfound worlds didn't exactly receive historic names. All of this is standard exoplanet-naming procedure — star name plus letter. But the Kepler mission isn't the only planet-hunting project working today, and the others choose their star appellations differently. So there are also alien worlds out there with names like HD 171028 b and MOA-2007-BLG-192-L b. "There's no way the public should have to remember these names," said Francois Fressin of the Harvard-Smithsonian Center for Astrophysics, lead author of the study announcing the discovery of Kepler-20e and Kepler-20f. "I'm working like 15 hours a day on Kepler, and I'm not sure I could tell you which one is each of the Kepler planets." Exoplanet researchers could work together to develop a coherent naming system, one with consistent rules or guidelines, Fressin suggested. As an example of such a system, he pointed to the planets of our own solar system, all of which except Earth are named for Greek or Roman gods. "If we start doing that with more accessible names, it would be a plus," Fressin told SPACE.com. "So I really encourage those kinds of discussions." Kepler team member Dave Charbonneau, Fressin's colleague at the Harvard-Smithsonian Center for Astrophysics and a co-discoverer of Kepler-20e and Kepler-20f, voiced similar sentiments. "Sadly, we do just use the boring nomenclature of starname + letter. We really need to fix this!" Charbonneau told SPACE.com via email. "I have three daughters, and the oldest is just starting kindergarten. We need engaging names for the benefit of schoolchildren everywhere." Public engagement could also come in more active ways, suggested veteran planet hunter and Kepler scientist Geoff Marcy of the University of California, Berkeley. "We need SPACE.com to hold a naming contest!" Marcy wrote in an email to SPACE.com. We were thinking along similar lines. 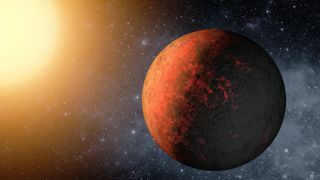 After the announcement of Kepler-20e and Kepler-20f, SPACE.com asked readers on Facebook to vote for their favorite names for the Earth-size planets. The winning monikers? Romulus and Remus, which "Star Trek" fans will recognize as the names of the twin homeworlds for the fictional Romulan alien race.